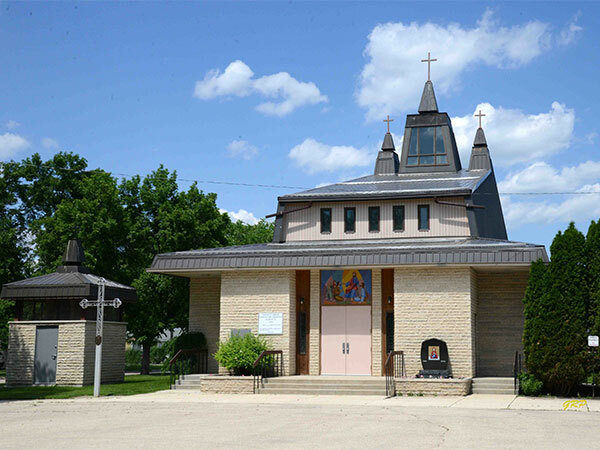 This Ukrainian Catholic church on First Street NW in Portage la Prairie was designed by architect Victor Deneka and built in 1982 to replace an earlier church nearby. 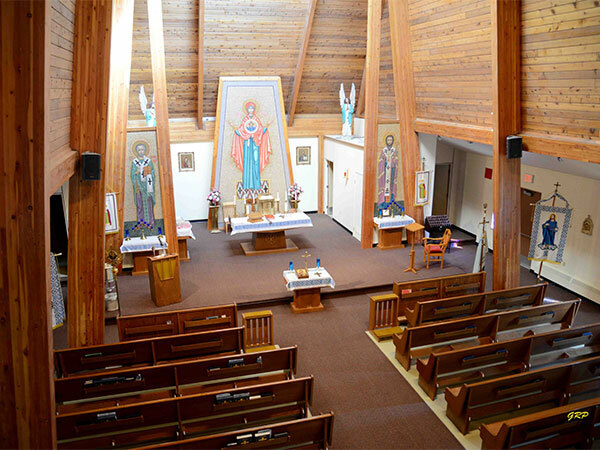 Among the clerics who have served in this parish were Sozont Dydyck, Rev. Athanasias Fylypiw, Rev. Apolinarij Kaluzhnacky, Rev. Michael Pelech, Rev. Eugene Andruchovich, Rev. Peter Kameneckyj, Rev. Lev Sembratovich, Rev. Mykola Shumsky, Rev. Ambrosij Redkevich, Rev. Ivan Perepelytsia, Rev. M. Zalitach, Rev. Michael Hryhorijchuk, Rev. Joseph Bala, Rev. Stefan J. Bachtalowsky, Rev. Paul Reshetylo, Rev. Vasyl' Charney, Rev. Joseph Pulak, Rev. Marijan Shwed, Rev. Vasyl' Dzurman, Rev. Mykola Kushniryk, Rev. Antin Fyk, Rev. Volodymyr Slabyj, Rev. Stefan Tarnavecky, Rev. Volodymyr Olach, Rev. Anthony Luhovy, Rev. Michael Kolenich, Rev. Evhen Oliynyk, Rev. Joseph Korba, Rev. Vasyl' Seman, Rev. Jaropolk Radkewycz, and Rev. Stefan Soroka.